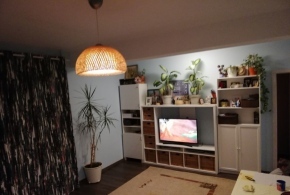 New apartment for rent in Upgroung, 2 rooms located in the Northern part of Bucharest, in Upground complex. 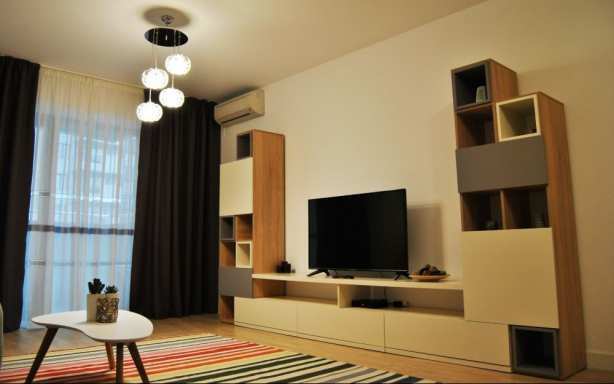 The usable area is 75 sqm, consisting of an airy living room with open kitchen, 2 bathrooms and a bedroom with generous storage spaces, fully furnished and equipped. Within the residential complex you will find: restaurants and terraces, fitness room with WorldClass swimming pool, office spaces, banks, shops for daily shopping, permanent security, etc. The green spaces in the project benefit from ambient lighting and the overall access is restricted by barriers and supervised by guard personnel, the metro is 3 minutes (walking).